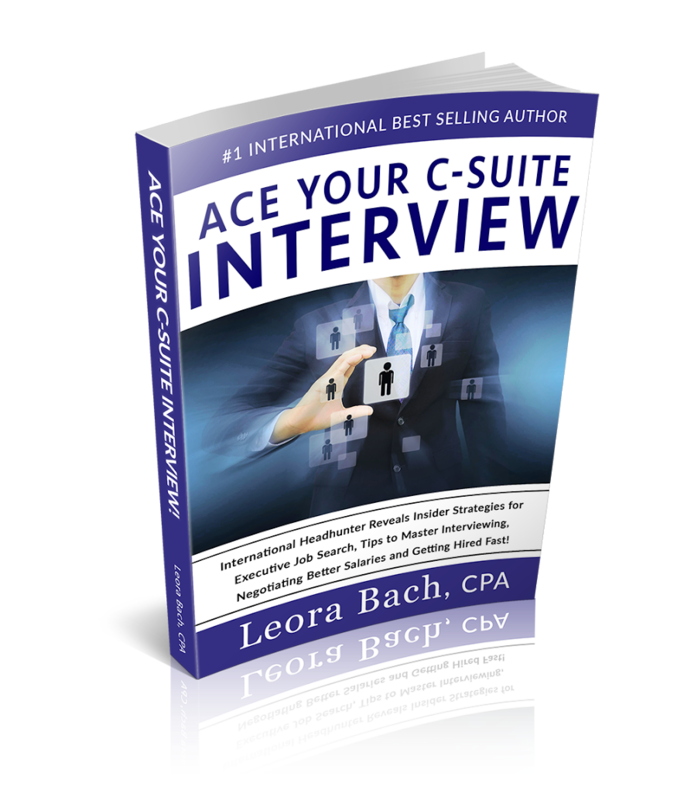 Ace Your C-Suite Interview | Bach Associates Inc. Your Personal Coaching Guide to get you from where you are to where you’d love to be in your career. It is the most comprehensive book in terms of relevant detail, hard-won insights and years of experience dealing with Executive Committees; sitting on Panel interviews and seeing first-hand how the most outstanding Candidates present themselves, to win the position. In Ace Your C-Suite Interview, you will learn the strategies and tips to master all aspects of the Executive Job Search. This book will help you overcome limiting beliefs and move you from being anxious and even fearful to being excited and looking forward to your next interview. You will learn what Companies really want and you’ll know how to showcase talents that you never knew you had, to outclass your competition and land your dream job! This book is so much more than just preparation for the final interview. It is the full life cycle of the search process, from beginning the job search to successfully onboarding in your new position, where you will learn to excel beyond expectation in your new role. It is an easy and pleasurable read, with success stories, testimonials and anecdotes, but ingrained with vital information, necessary for your success. If you needed just one resource to guide you through this process and help you every step of the way—then you should read this book right now!